Sherrry and Paul have stayed in our home to care for our two miniature Schnauzers multiple times now. We even moved and they have been to our new home now too. These are two extraordinary people. I count them as our friends now and they are our "go-to" sitters as well. I trust them implicitly with not only our home but in the care of our two prized possessions - Levi and Libby! 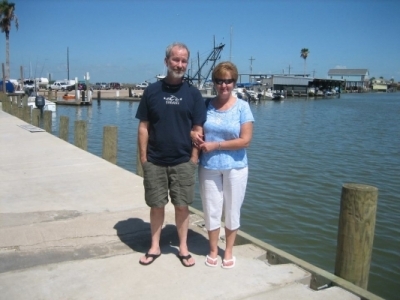 Paul and Sherry are sweet, kind people and you will be completely happy with their personal service. We can go out of town and I know beyond a doubt that our doggies are in wonderful hands. They make it worry-free pet sitting for sure! Sherry and Paul have watched our house and dog several times now. Wonderful!! AMAZING housesitters! Can't say enough wonderful things about them!! We house sat for two very sweet miniature schnauzers for the Luebberts for 12 days. We love their pets, home and surrounding area. Scott and Cynthia are great people and very hospitable! Thanks again! We house sat for the Luebbert's two adorable miniature schnauzers for 4 nights. Can't wait to see them again soon! We house sat the Chapman's two adorable King Charles Spaniels and kitty over spring break. It was love at first sight! We miss those fur babies! We house sat for our favorite Labrador "Jake" for 2 weeks -miss him and think about him a lot! We love house sitting for the Chapmans - we are in love with all of their pets (2 dogs and a cat)! We have house sat many times. We have house sat for the Cooks many times - We enjoy it very much! We adore their big white lab "Jake" - he is so much fun! Watched over their two cats while they traveled out of the country.